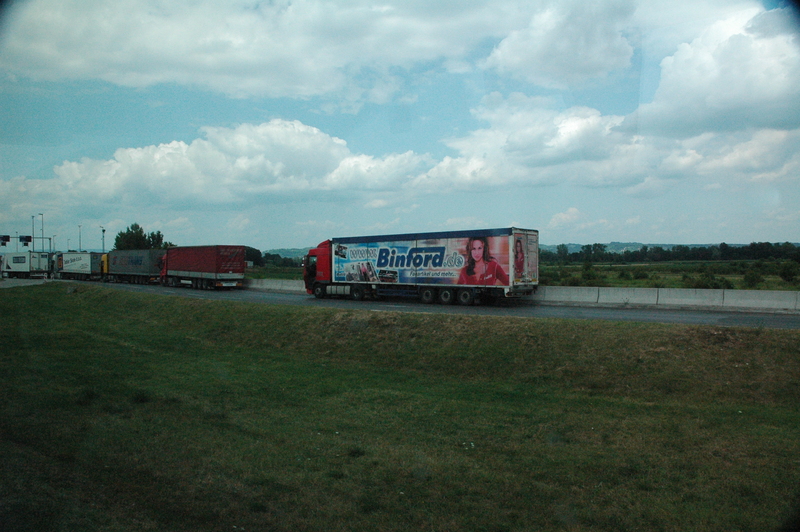 I knew five minutes into my ride to Ljubljana that the trip would be interesting. How? Why? Well, because the two bus drivers were already lost… in Budapest. With shrieks of laughter and an exchange of several bad words between the pair, we finally ventured onto the correct road. 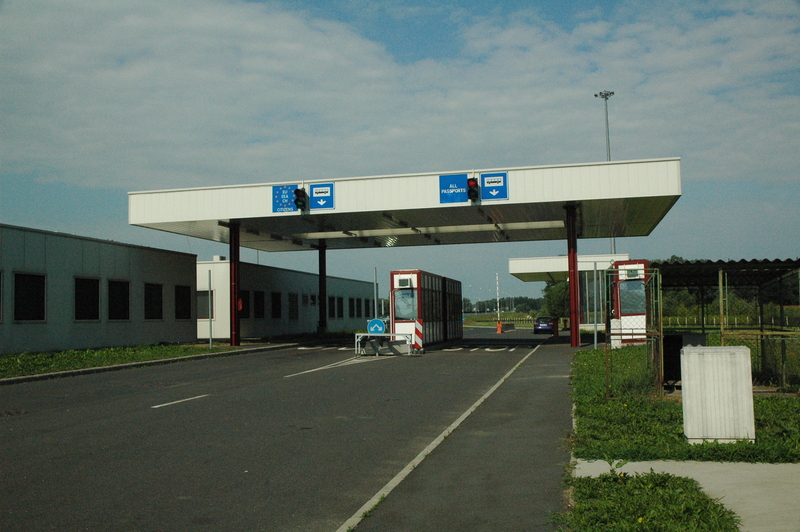 When we approached the Hungarian-Croatian border, all of our passports were checked by border patrol. Although there were fifty or so of us, we collectively hoped for an expedited service – but what happened was far from fast. Unfortunately for one girl, her visa had expired thus not allowing her to leave the country. After throwing all of us off of the bus and leaving her in the nearest Hungarian town, we were able to drop the first round of people off in Zagreb. I thought that was the end of the chaos, but my life is too interesting for that. 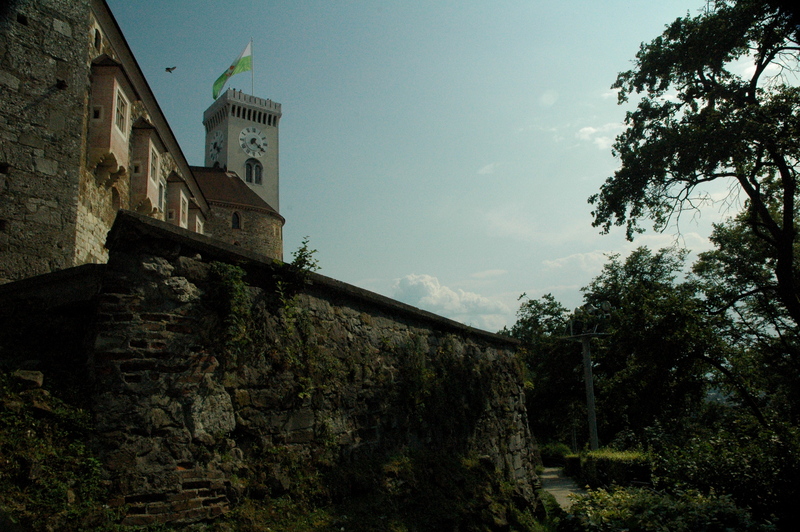 The Croatian-Slovenian border would prove to be a much tougher task to accomplish. As we approached the border, the bus drivers asked for an English speaker to come forward and talk to border patrol (they spoke not one word of English). Only six travelers were on the bus from Zagreb to Ljubljana, and I was the only person who knew both English and Hungarian (beginner, at that). Thrust into the situation, I was in for the ride of my life. For some reason, what I thought would be a friendly, cordial, quick exchange turned out to be a rather lengthy debacle. I accompanied the bus drivers into the building and had to actually translate everything. Slovenian-Me-Hungarian, Hungarian-Me-Slovenian, and so on and so forth. Border patrol was not pleased with the situation and their agitated state only made everything worse. All of us obviously made it passed the border though. Thank goodness I was responsible for providing correct information… What was supposed to be a seven hour bus ride to Ljubljana ended up being ten hours. An adventure indeed. Home Improvement? Tool Time? Viva la 1990s! 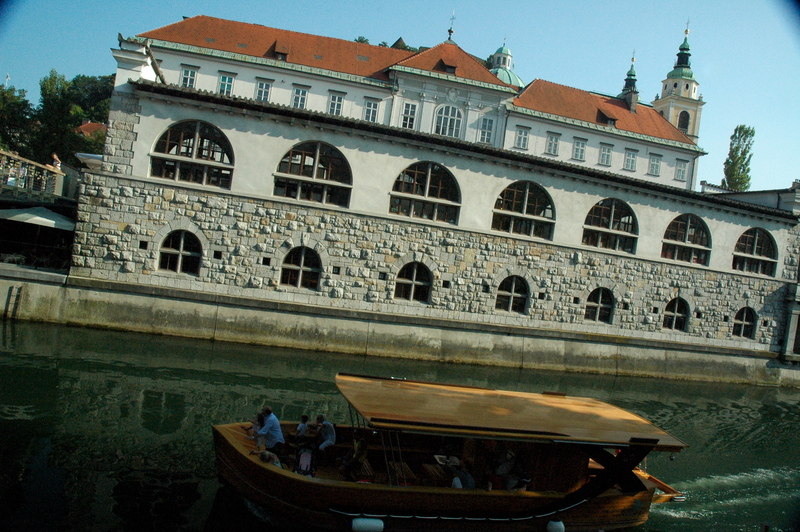 Let me make this clear: Ljubljana is a small. 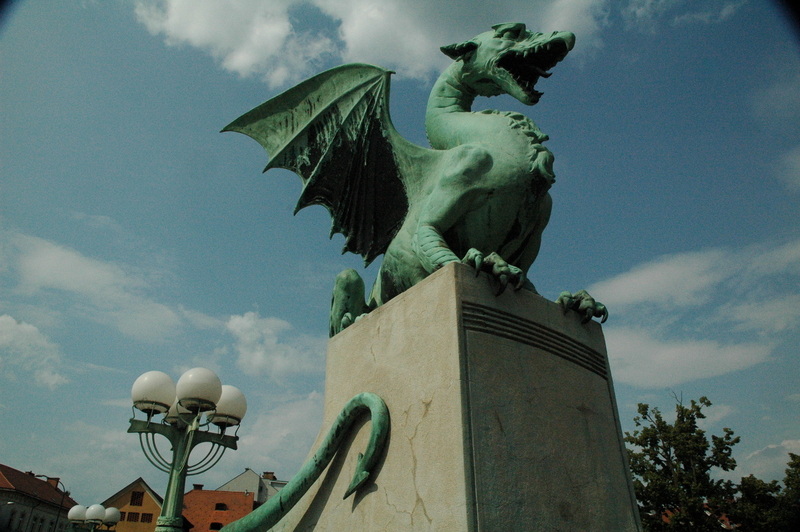 Ljubljana (pronounced lyoo-blyah-nah), the largest city in the country, has only about 280,000 inhabitants. 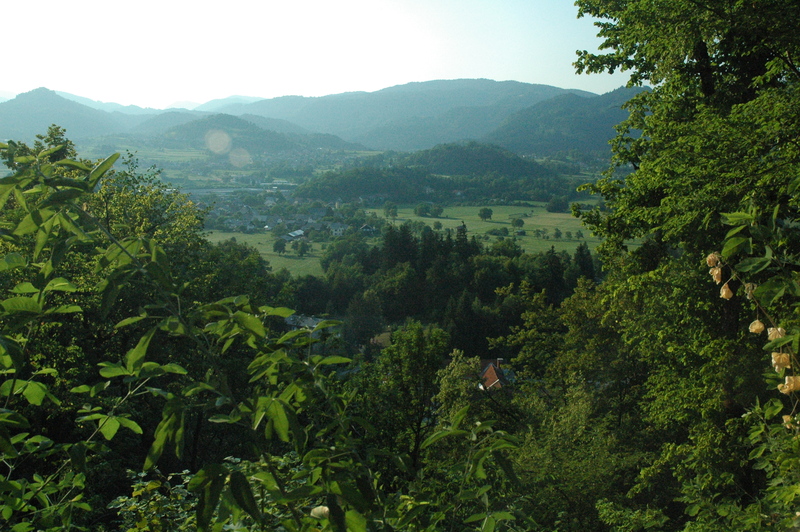 The size is 163.8 km2 (63.2 sq mi), but a large portion of this area is filled with sizable hills and trees. 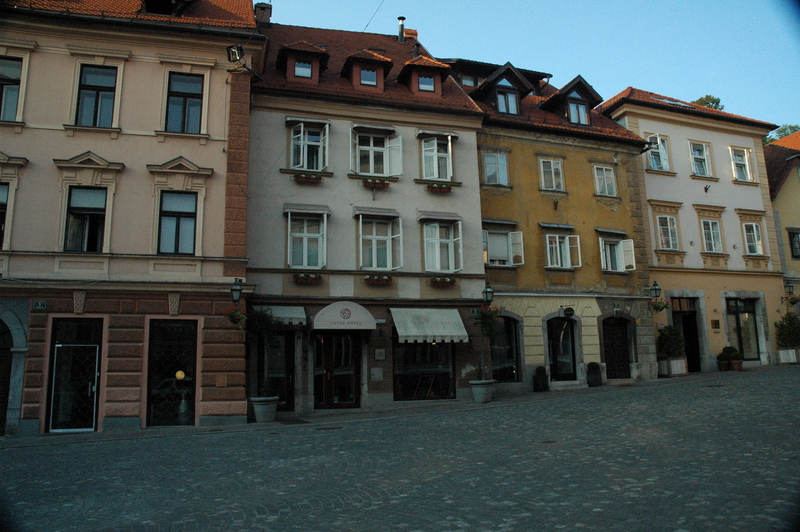 I booked hostels for two nights in Ljubljana – a decision I would later regret. 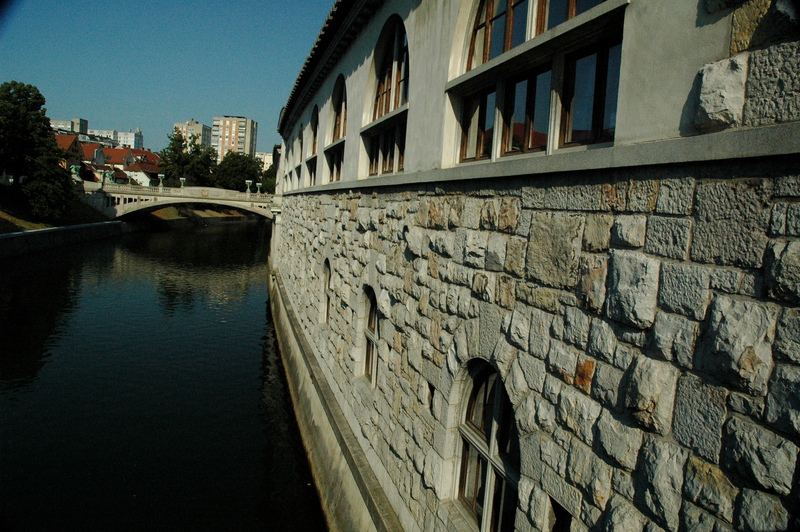 Don’t get me wrong: Ljubljana is charming and has its own appeal, but I personally did not need two days to see the city. I was in the capital for the first night alone (my friend Bec was still backpacking elsewhere at the time), but I did meet two really cool people – Quincy and Nick. With both backpacking through Europe for extended periods of time, I realized that my European experience was a tad bit different. I have never traveled for longer than a week. Ideally, I would like to backpack through Eastern Europe next year. Bec arrived to Ljubljana the next day and we walked around for a few hours. We saw the whole city from the castle hill. Red roofs are so popular in these parts. Personal opinion: The city is more beautiful at night. 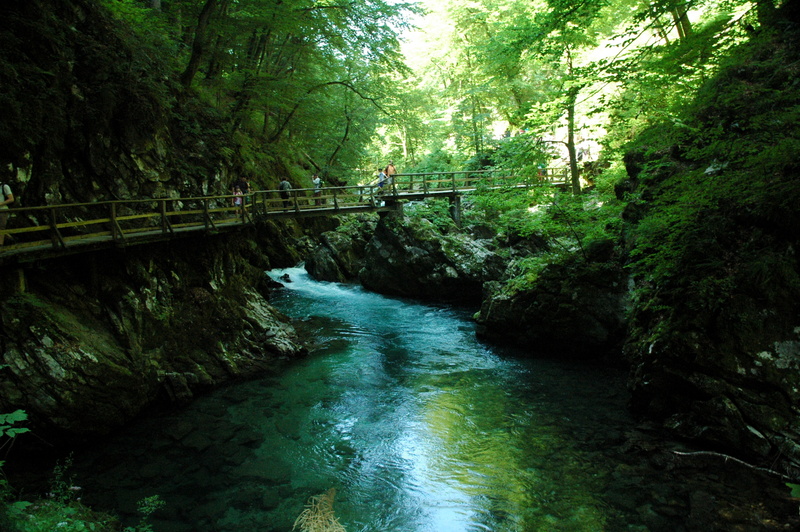 The next stop on the Slovenian escapade was Vintgar Gorge, located just a few kilometers away from Bled. 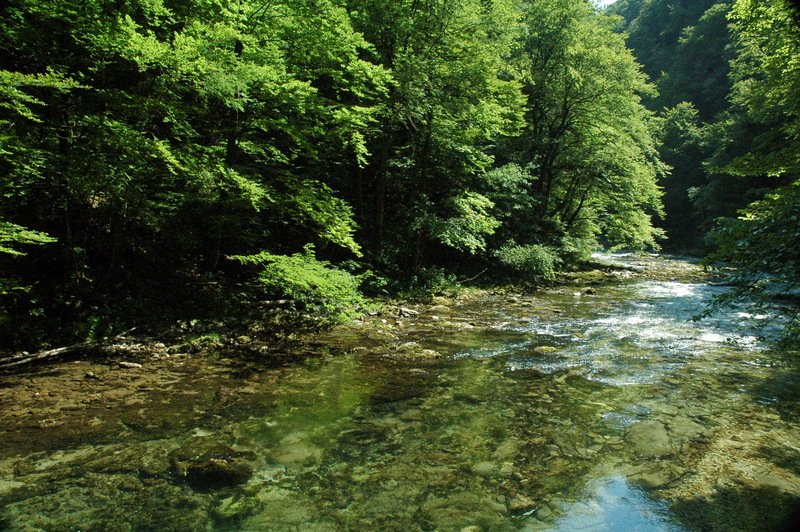 The gorge, created by the rushing Radovna, has been visitor-friendly for about 100 years. 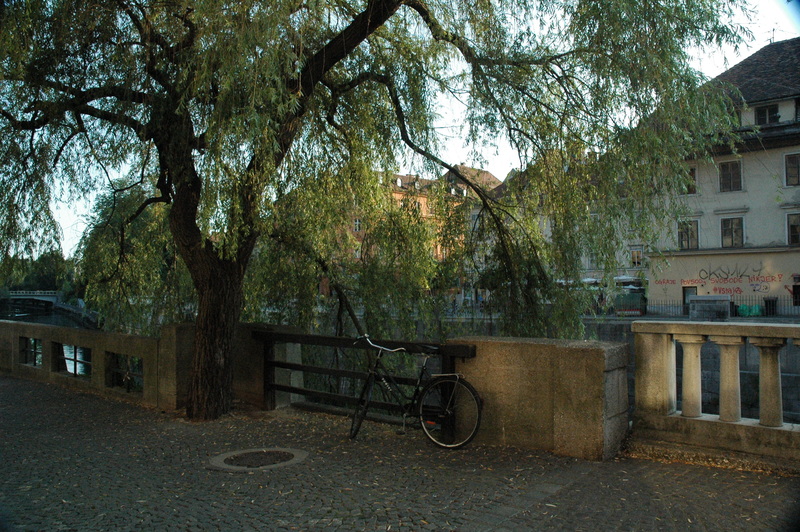 Wooden bridges have been built for easy passage. This gorge experience was wildly different than the Tallulah Gorge one I had with my older sister last year. Without giving too many details, just know that it was rough. I love the outdoors, nature, and frolicking, but I am not an extreme outdoor enthusiast by any means – translation: I do not like risking my life to take part in outdoor activities. 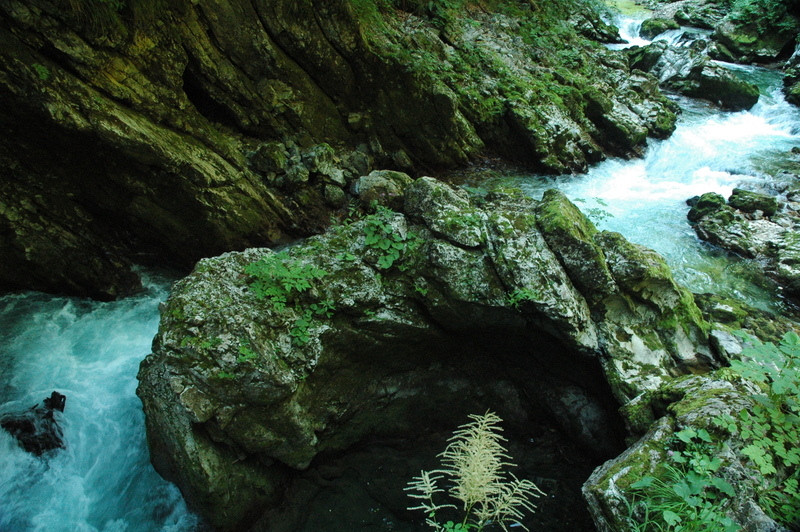 Vintgar Gorge was extremely pleasant. 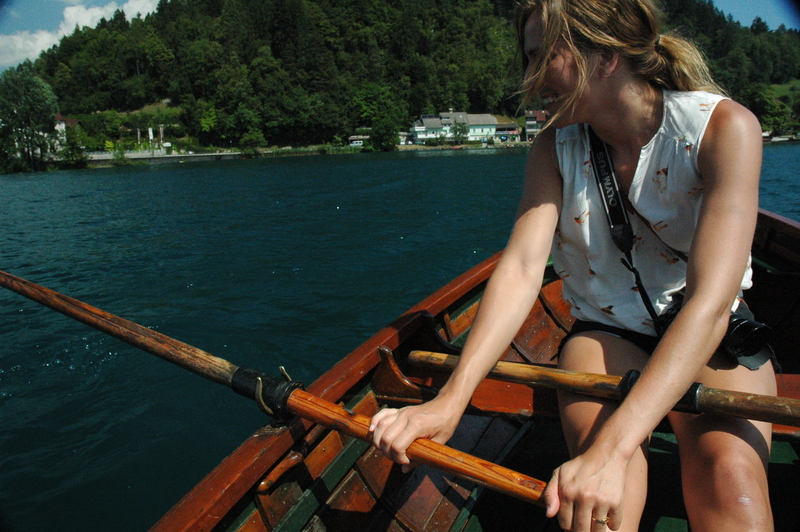 After Vintgar Gorge, Bec and I dedicated all of our attention to Lake Bled. 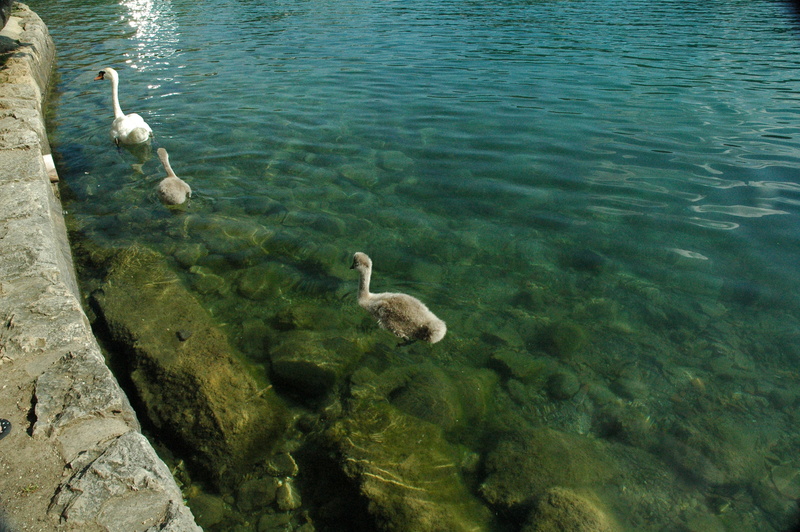 The sole reason why I went to Slovenia was because of this lake. 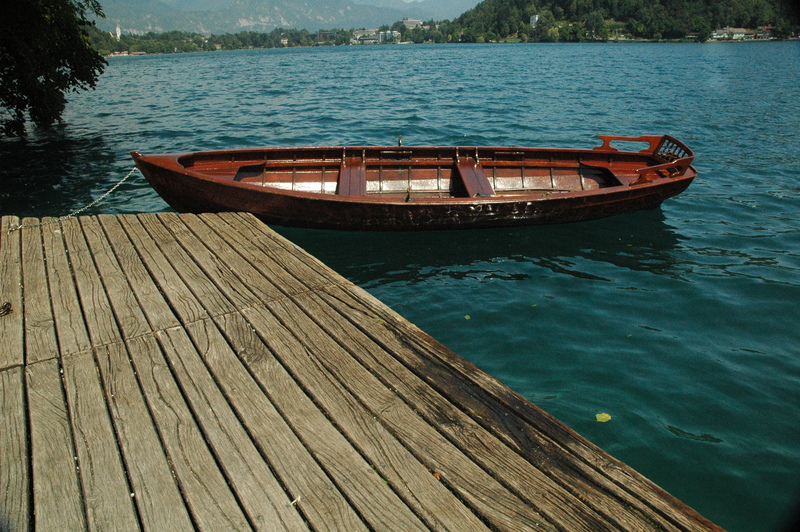 I have been fascinated with Lake Bled since I stumbled across this area in Alex’s blog. 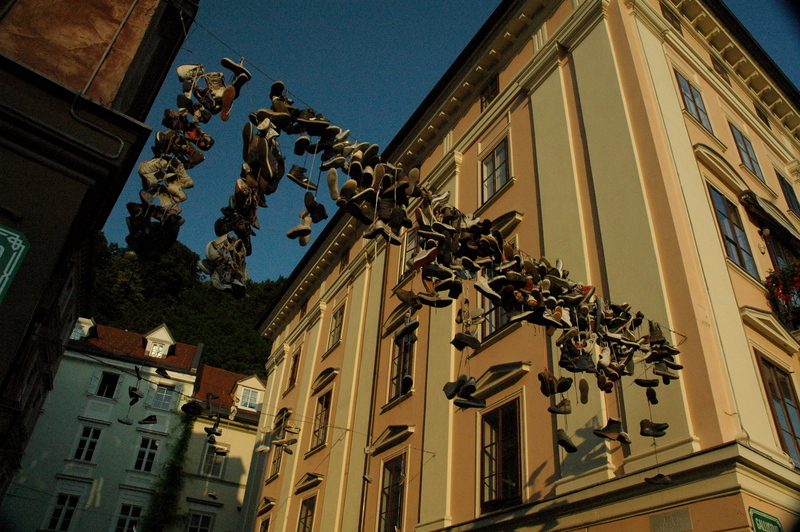 Bled, a town found in northwestern Slovenia, is situated on the glacial Lake Bled. 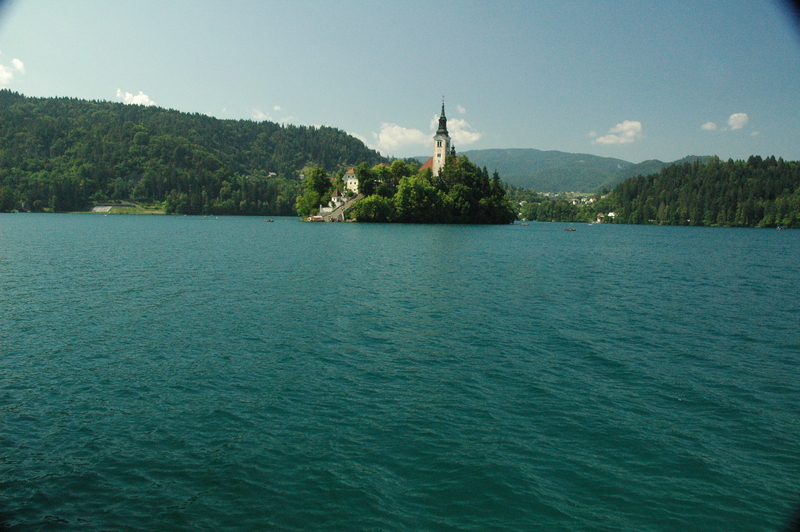 Notable sites at Bled are the lake itself, Bled Island, Assumption of Mary Pilgrimage Church (on the island), and Bled Castle. 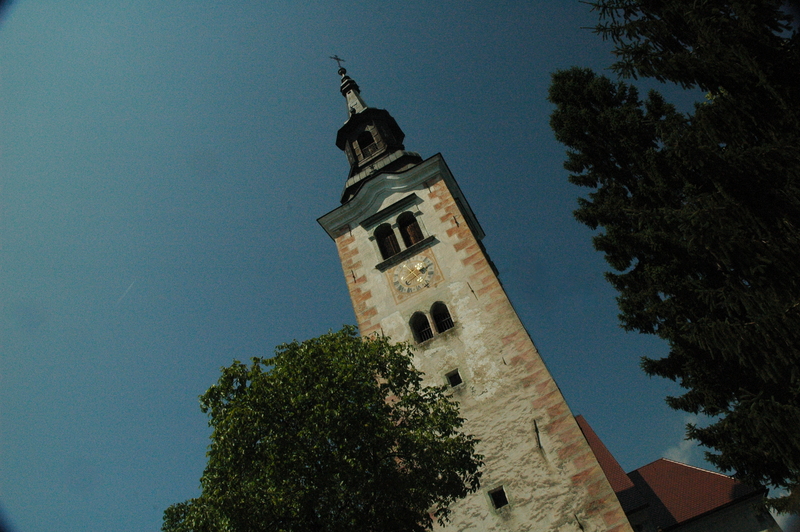 The church aforementioned is thought to have been built after a temple dedicated to the Slavic goddess Živa was destroyed. The only way to get to the island is by boat – you can either pay to be rowed to the island or you can rent a boat and row yourself. As you can probably guess, I chose the latter. As mentioned in previous posts, I love boats of all kinds. I was beyond determined to get to the island of my dreams. Assumption of Mary Pilgrimage Church. 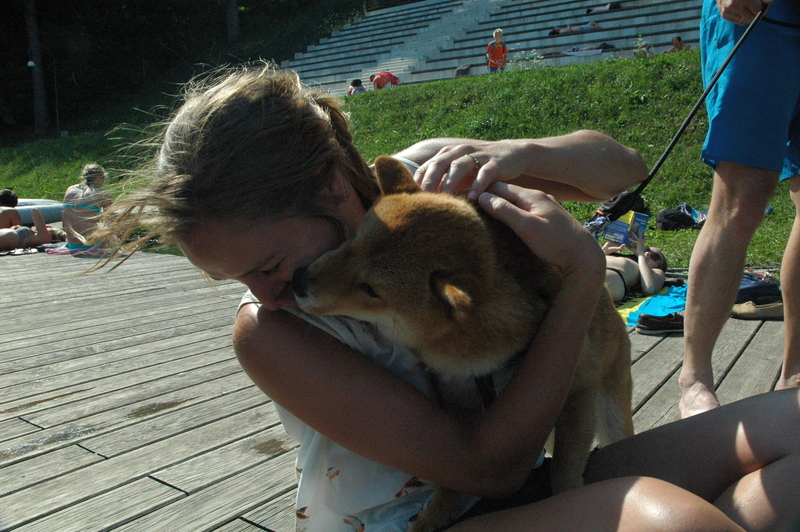 We also fell in love with the most adorable Shiba Inu from the Netherlands. We walked around the lake and not once tired of seeing the same sites at different angles. 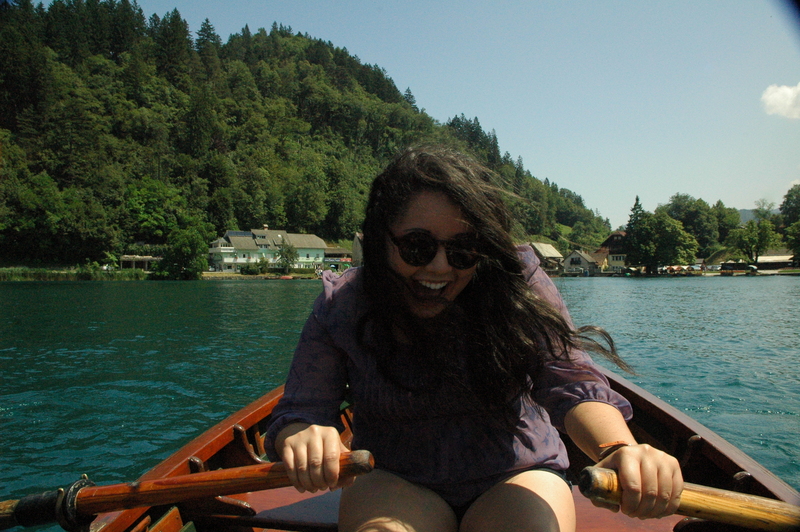 Lake Bled was everything I imagined it would be. 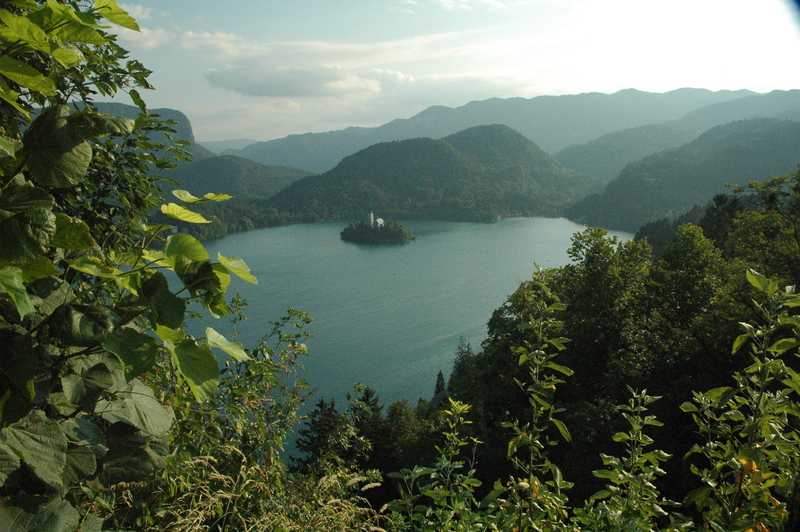 We even climbed up to the Bled Castle, which is high up on a cliff overlooking the lake. Not interested in paying to enter the castle (but still desperate to have a good view of the lake from above), we took a small, unofficial path at the back of the castle that my new friend Nick told us about. Fighting overgrown plants and ancient, beaten steps, we crawled to the top. I should maybe mention now that I have a slight fear of heights without railings – I did not relay this small detail to Bec until we were at the top. I was fine, but I knew that the lush overgrown shrubbery was just a cover-up. The drop existed and it was real. Speaking of fears: I have confessed before that I am afraid of fish… While walking around the lake, a Harry-Potter-lightning-scar-pain stabbed me in my heart. Everything in my body told me that a fish was nearby. This statement sounds absolutely absurd because I was by a lake, but I clearly mean that a fish was out of its element and into mine – LAND. I looked over and low and behold: a gigantic fish was on land. My instincts. I am impressed with myself sometimes. Swan + Bled Castle from across the lake. 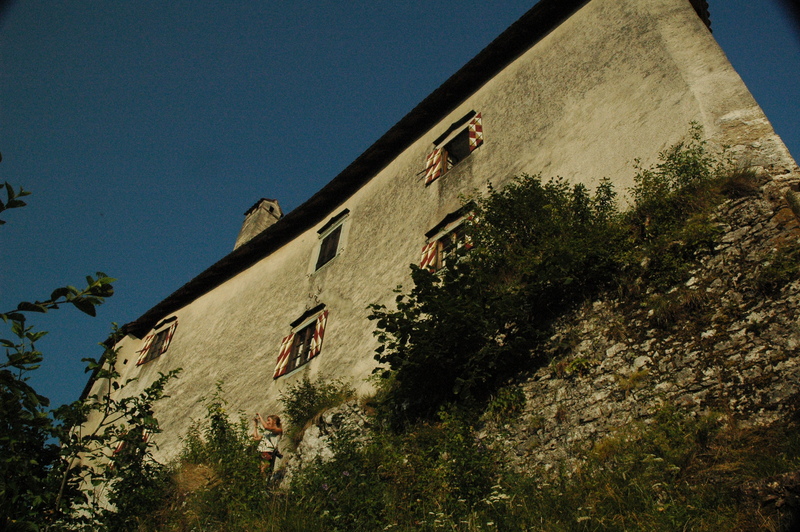 Bled Castle from an undisclosed location. The next morning I sat by the lake while Bec swam around. For some reason, I did not even think to bring a swimsuit. So much regret! We went back to the hostel, packed our bags, and headed back to the bus station. 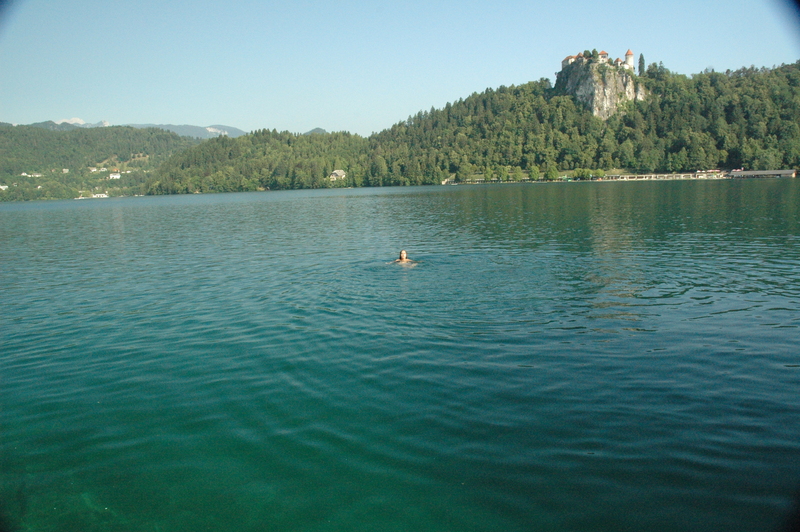 Leaving Lake Bled was one of the hardest things I have ever done – I fully recommend going to this place! As of now, I am just sitting here planning my next adventure. I might go to Lake Balaton next week. I also might go to Krakow next month. I am but a feather in the wind. A lesson from Miss Jennifer: Learn the language of the place you are living in. You never know when you (and a bus company) might need that knowledge. Your posts always bring a smile to my face. Amy, I miss you so much! Summer, although I am in Europe, is not the same without you. Bring Loretta over and let’s kayak in the Danube! I could watch your videos and read your blog for a living, is there a way to be paid for that? Claire = always too good to me.